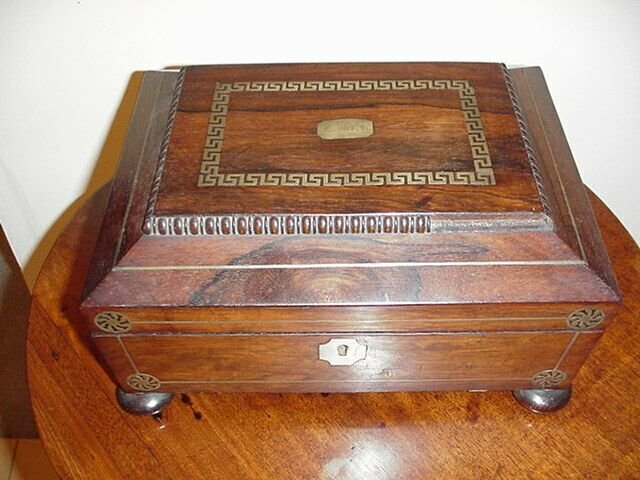 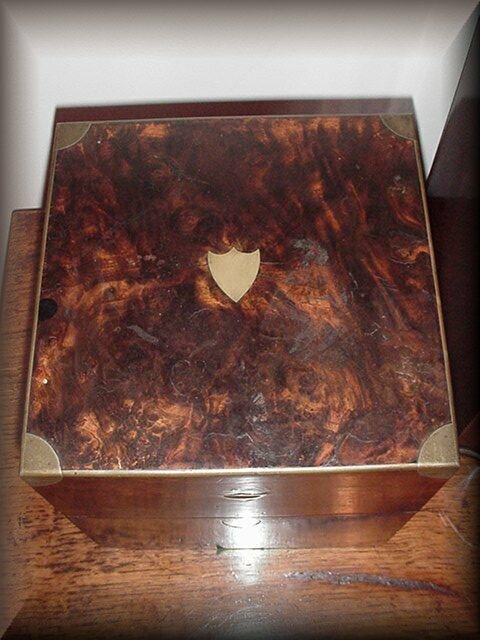 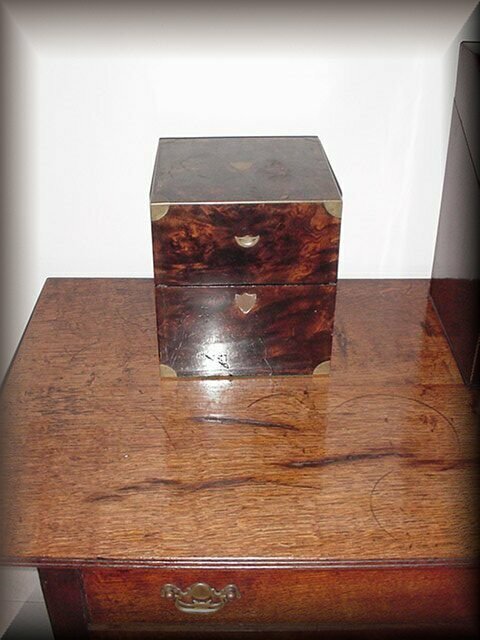 Regency Rosewood Box with Brass Greek Key Pattern Inlay. 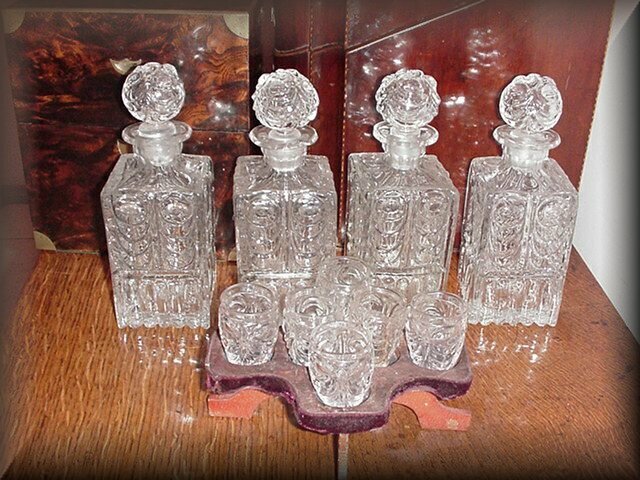 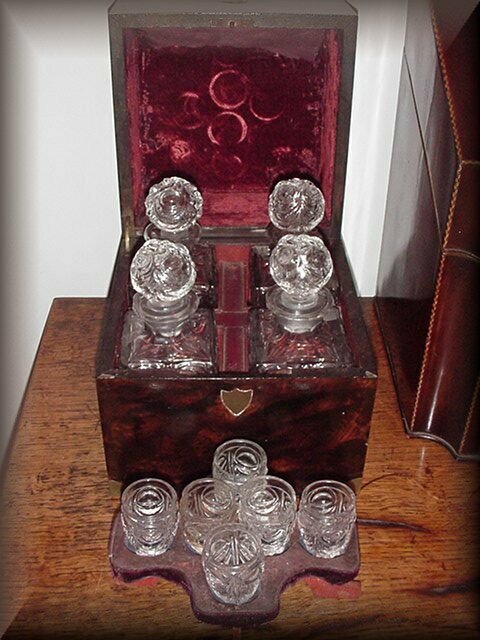 Regency brass bound burr tantalus set comprising 4 original hollow stopped decanters and 6 small tumblers (some damage to glass). 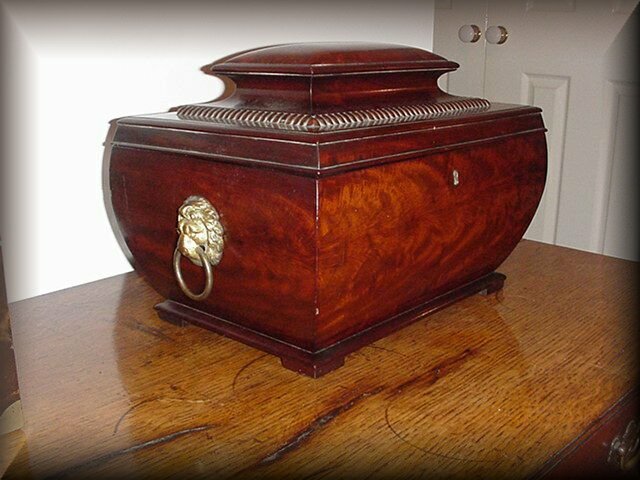 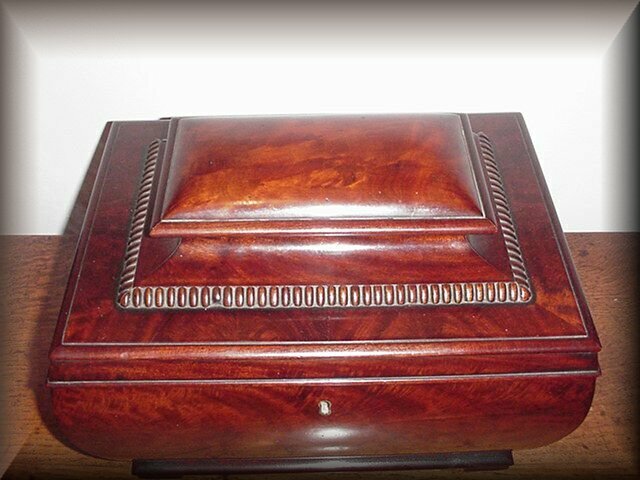 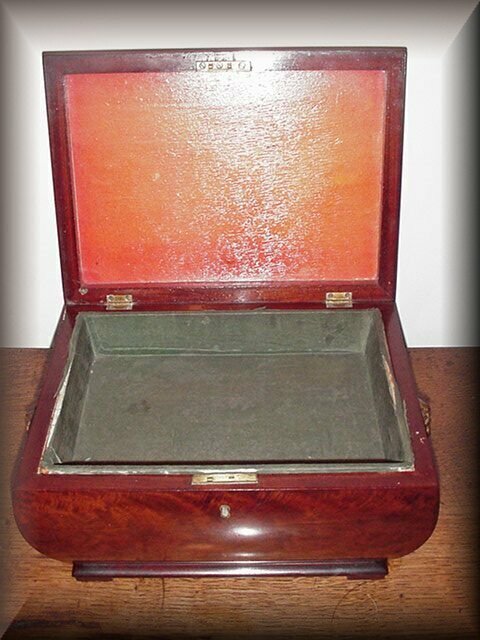 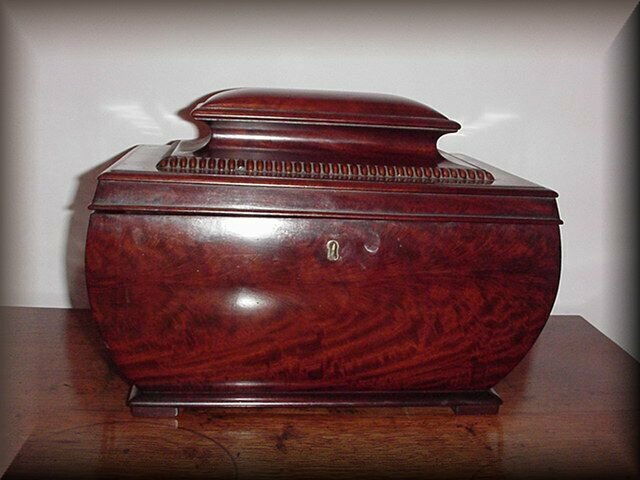 Regency Mahogany sarcophagous casket with rectangular beaded top, insert tray and lion mask handles.